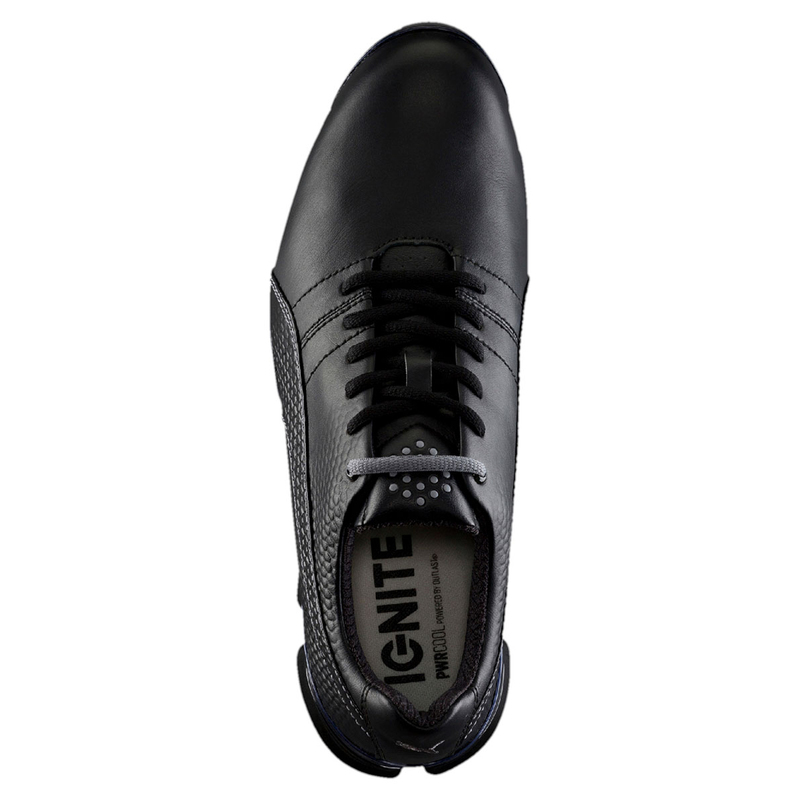 Note: All clearance footwear is brand new and unworn product. However, it may not come with its original branded packaging. 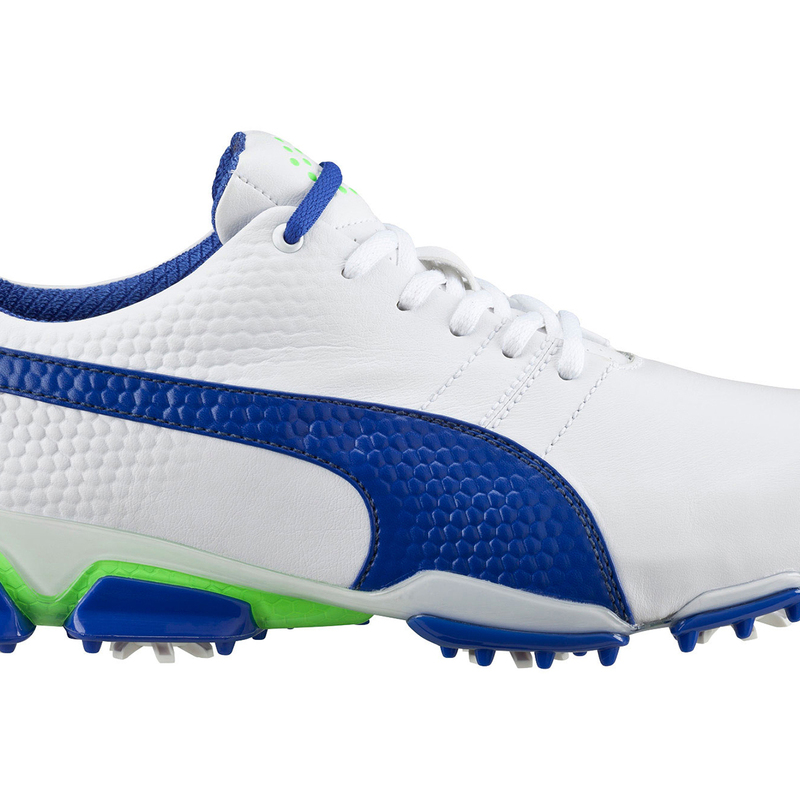 The high quality and performance PUMA Golf TITANTOUR IGNITE Shoes are perfect for this season. 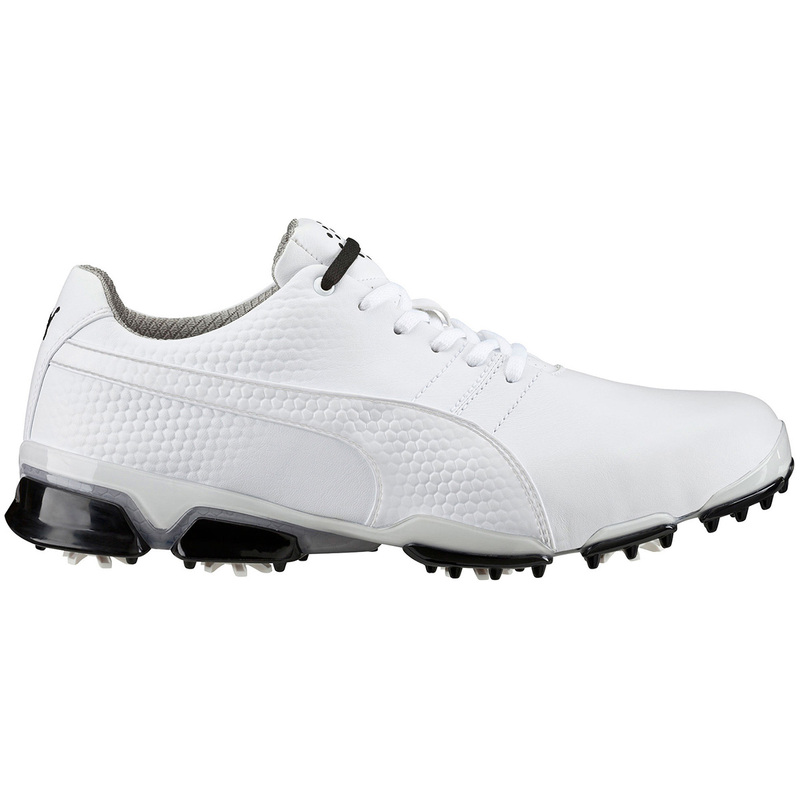 The shoe helps you to power through the golf swing in comfort and confidence with the new Ignite foam which provides excellent energy return for a more responsive comfort and stable cushioning. PWRCOOL is a certified space technology. 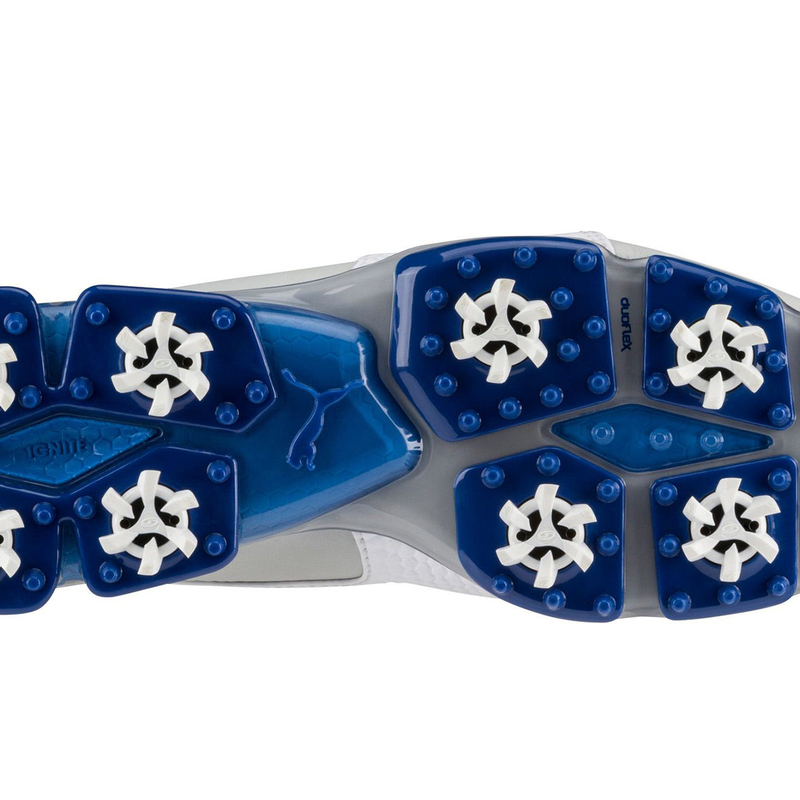 This technology increases your comfort by utilising phase change materials which absorb, store and release heat for maximum comfort during play. 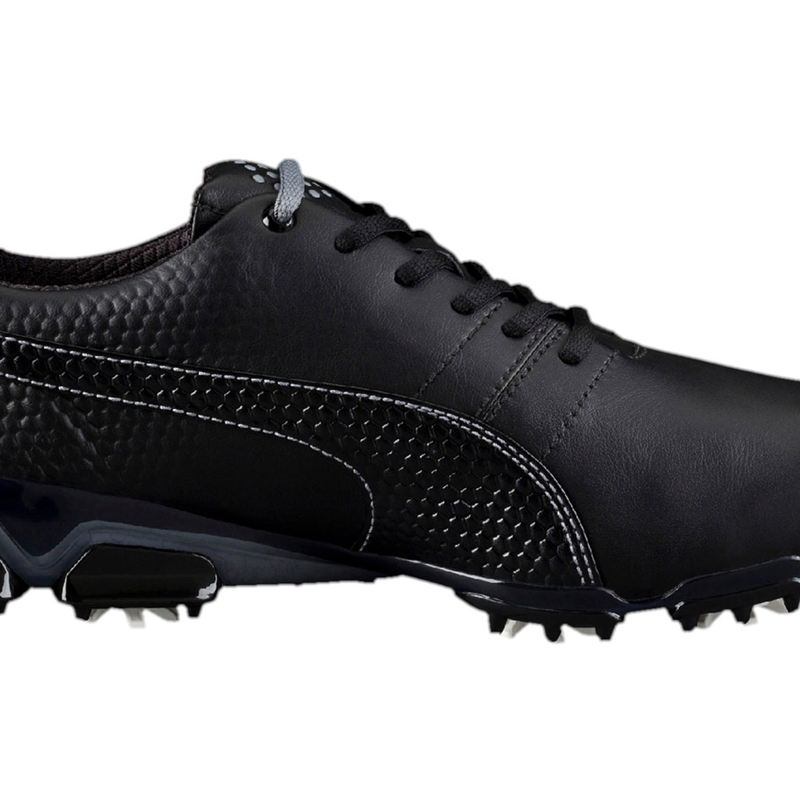 The shoes have been designed with a ultra premium leather upper for the ultimate performance, durability and quality. 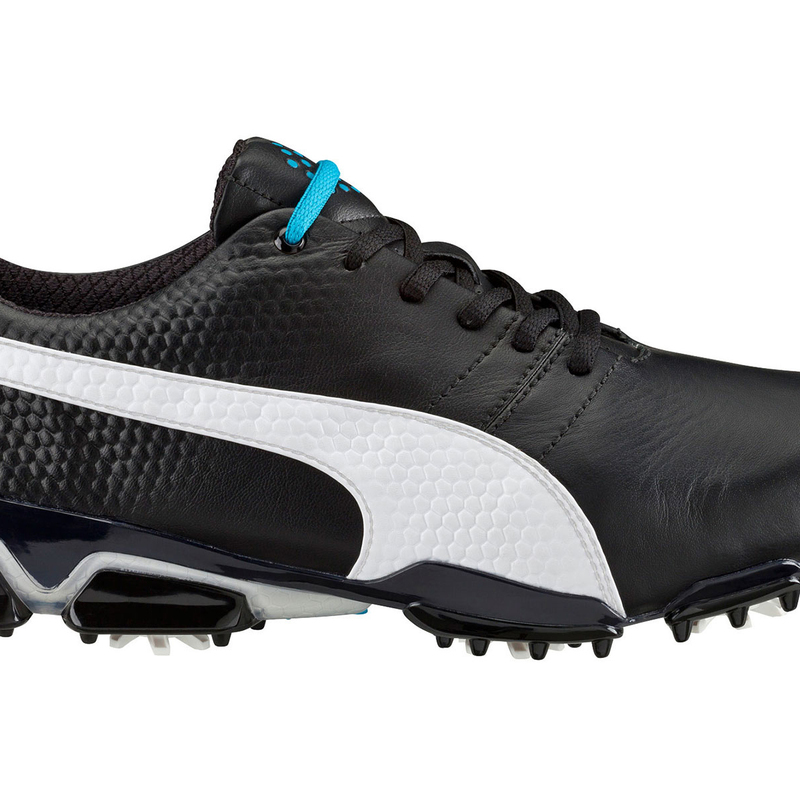 The shoes have been fitted with removable low-profile stealth cleats which provide long lasting abrasion resistance and grip. 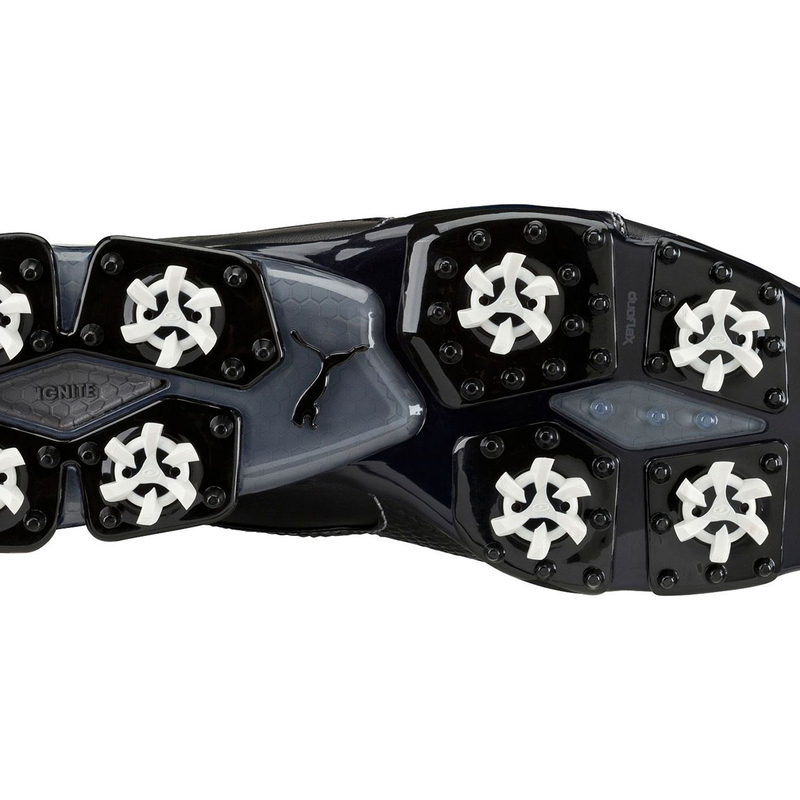 To provide added grip and stability the shoes have a gripzone traction system which are strategically placed directional lugs for increased traction and grip throughout your golf swing. 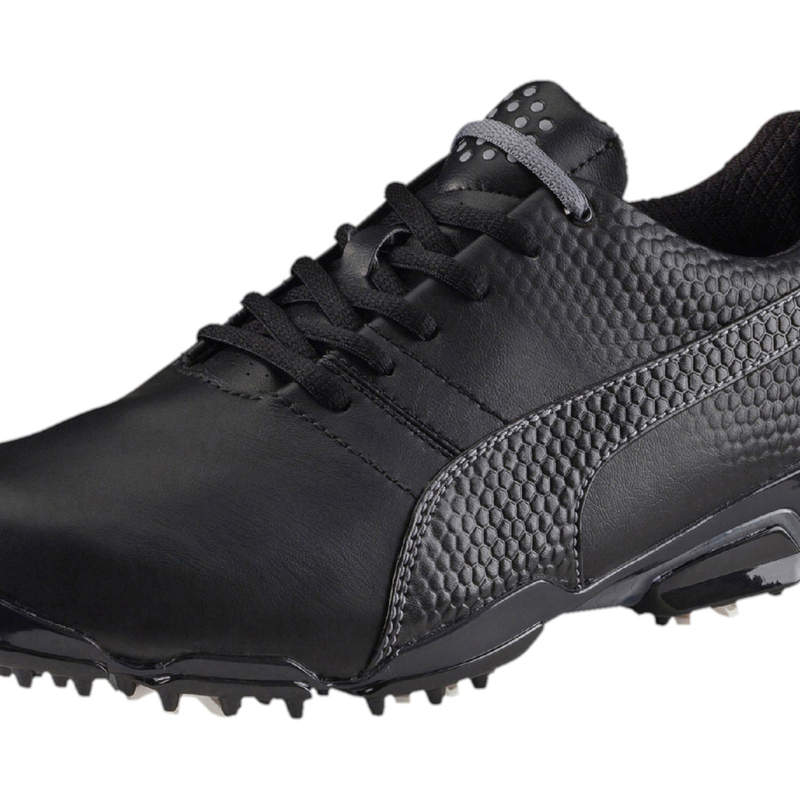 Benefit from a external TPU heel support which wraps up the heel for improved stability, and a riid flexible outsole ensures maximum traction which remains debris free. 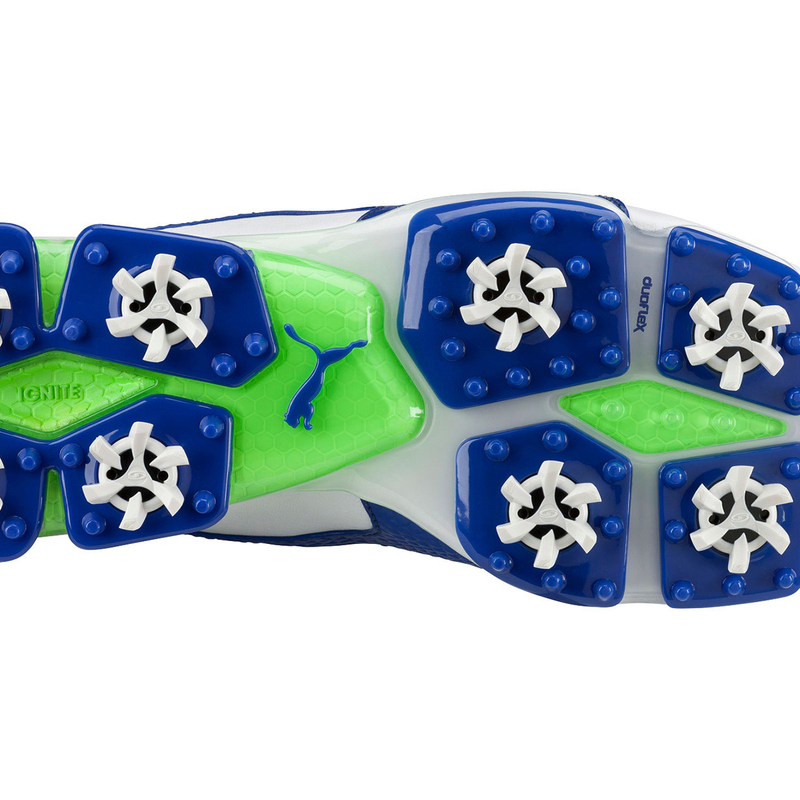 Other features include a Duoflex outsole with anatomically positioned flex grooves that allow foot to move naturally while providing necessary GripZone Traction support. 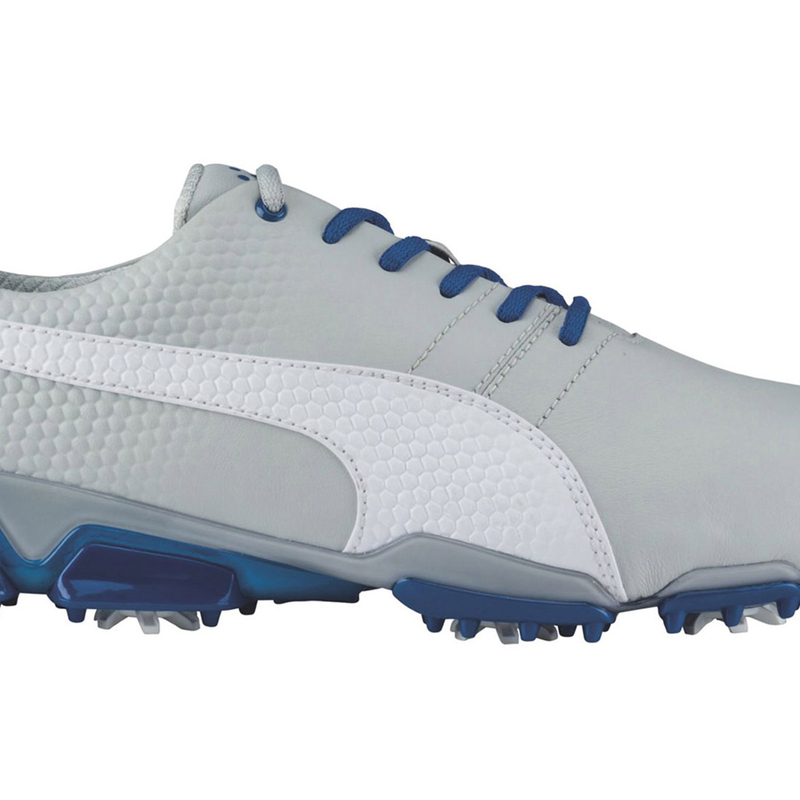 For extra comfort the shoes feature a premium D2 moulded insole which provides a moulded fitting for long lasting support and the shoes also come with multiple lace colours to customise to your style.